Many people like to visit new places. 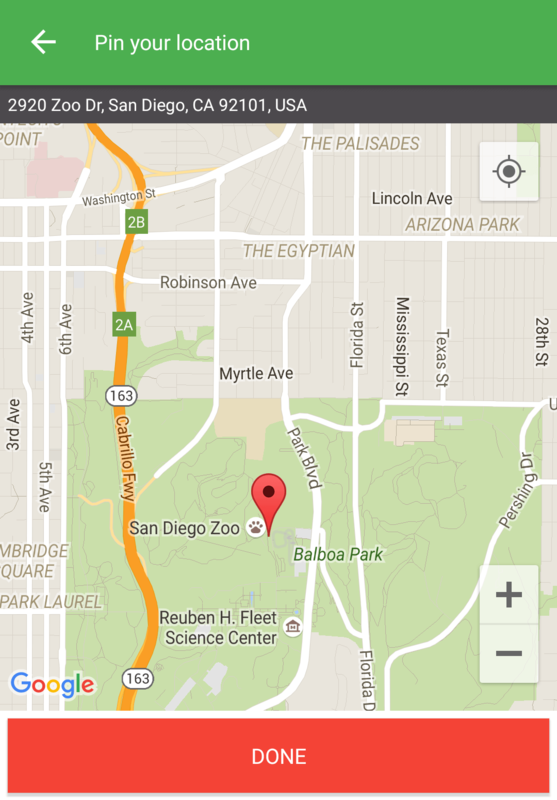 And, visiting a new place mean you need nearby locations of Hotels, Bar, Restaurants, Banks, ATM, etc. 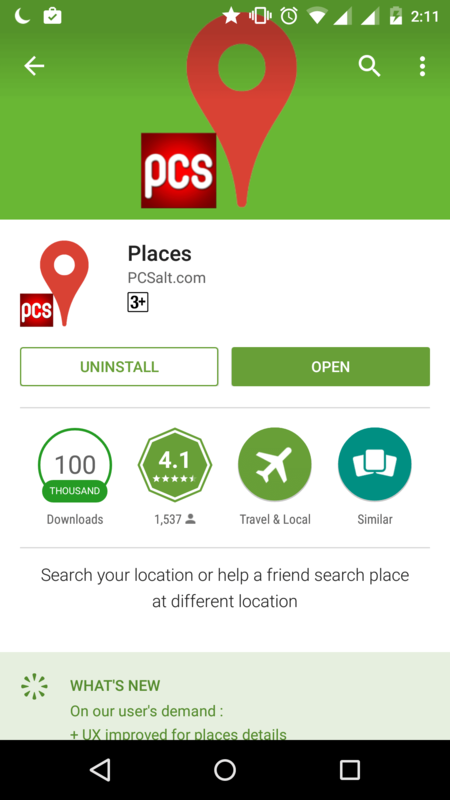 To make the searching easy, PCSalt has come up with a solution. 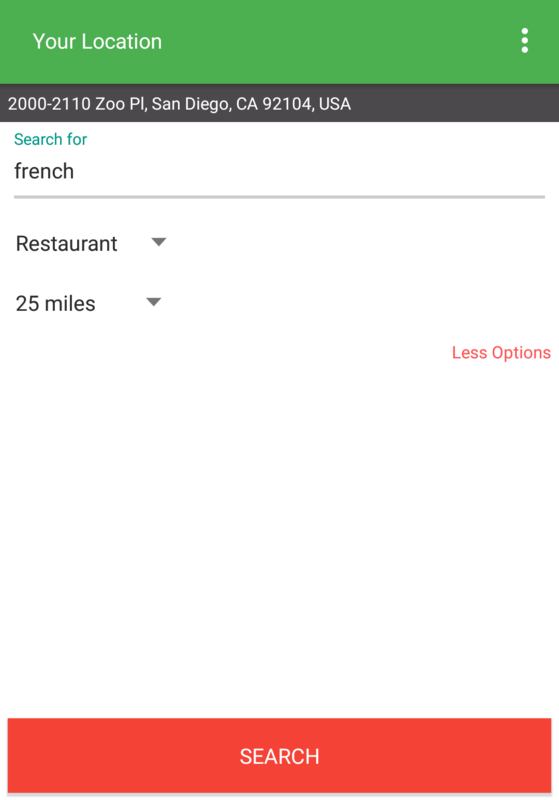 Places – Android app, for searching point of interest in a nearby location, or a remote location (could be searched or point location on Map). 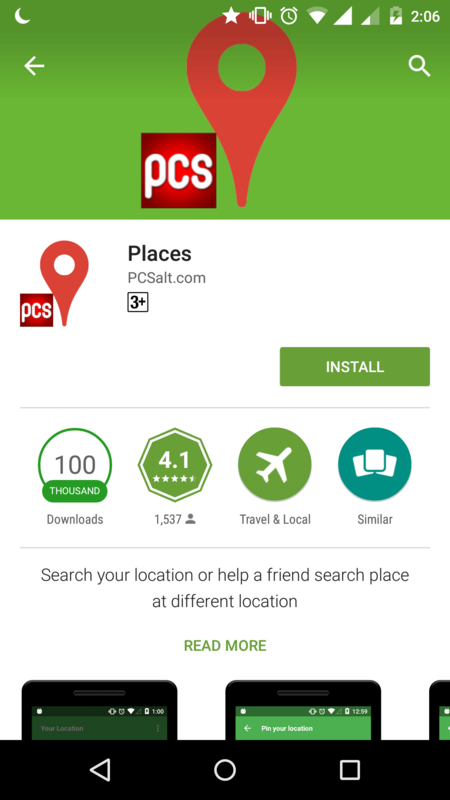 Navigate to the application page on Google PlayStore on Android phone/tablet. Click on the Install button. 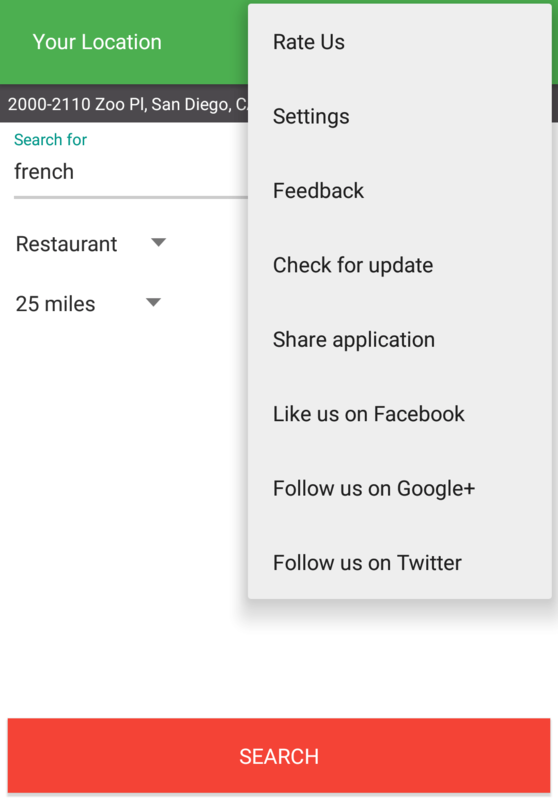 After clicking Install button, it will display a list of permissions required by Places. Below is a brief description about permissions required. 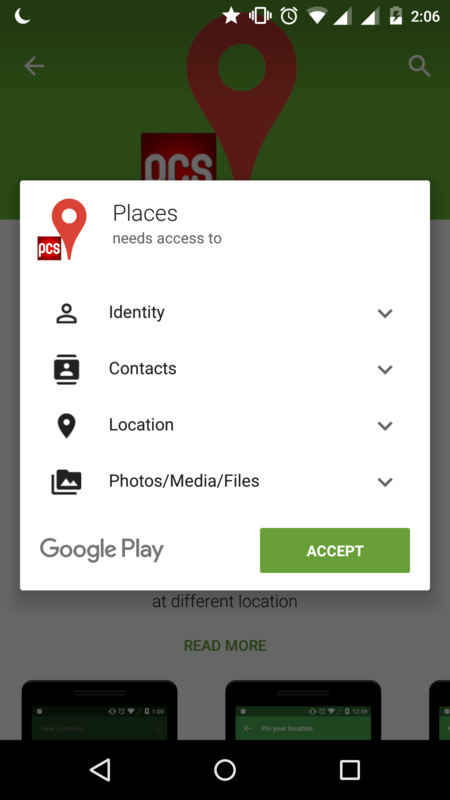 So, if you think you can provide the permissions required, click on Accept. After successful installation, open app!! On completion of installation, open Places. It may take a while before it displays anything on the screen. So, what is happing in the background? 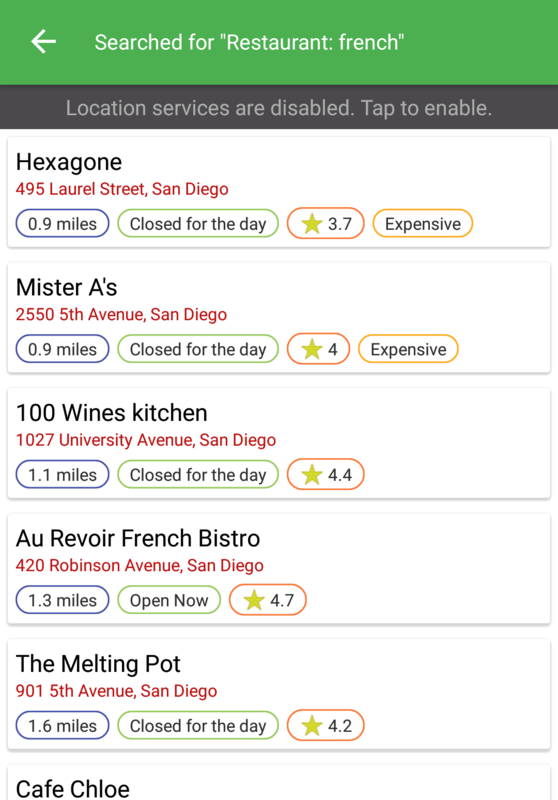 When Places is opened, it looks for your current location. So, it is necessary to have location services enabled, to make this process fast. 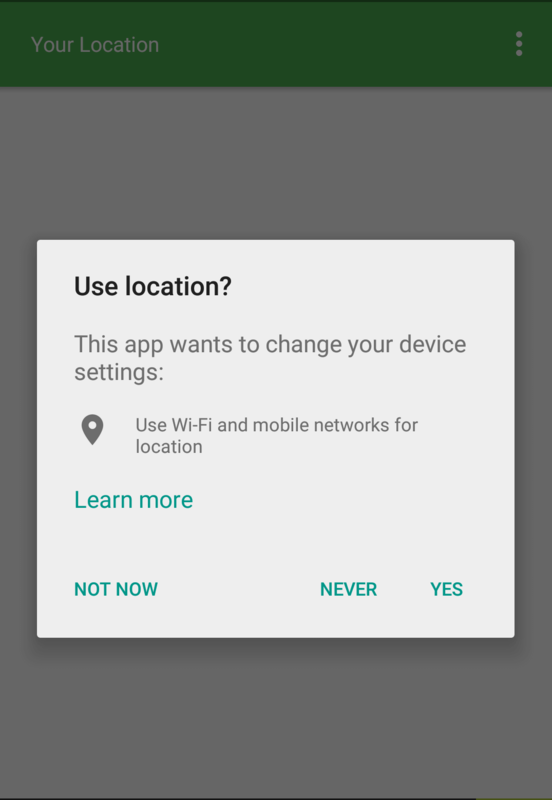 If location services are disabled, then the application would ask you to enable the same. NOTE: If you choose to never give permission to access location, then the application will never show your current location. You have to pick it up using other methods like search or point location on the map. 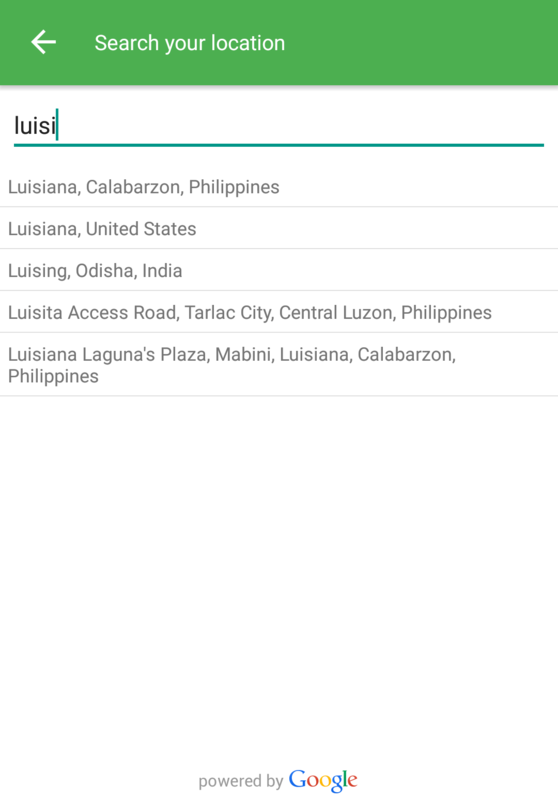 Choose either “Point on Map” or “Search by name” option to set the different location to search. 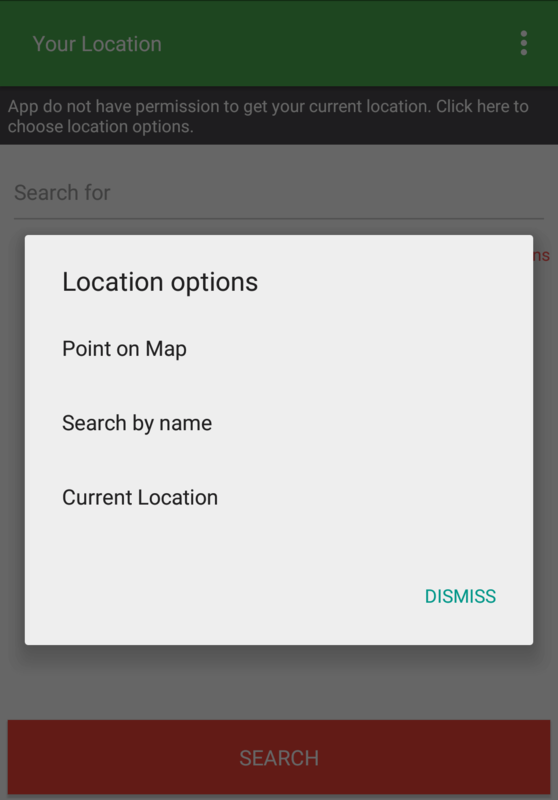 If you choose “Point on Map” option, then click on “Done” button after pointing the location on the map. The screen you are presented has your current location. 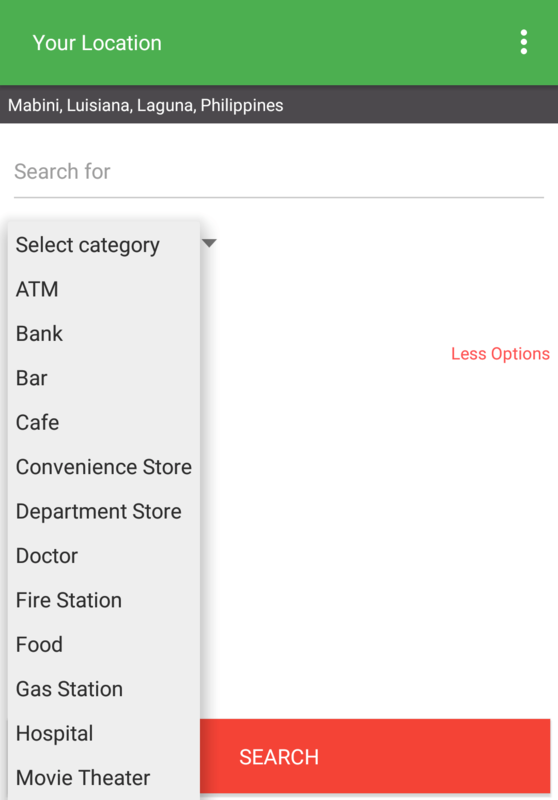 Now, you can start your search by typing what you are looking for. In addition with search keyword, you can provide a category of place and radius of search to enhance search result. On search result screen, you will be provided with the following information (*depending on their availability). 2. Show more details about that place. – Move to SD card : If your device supports moving applications to SD card, then click on it to move Places on SD card. – Distance Unit : Default distance unit is miles. 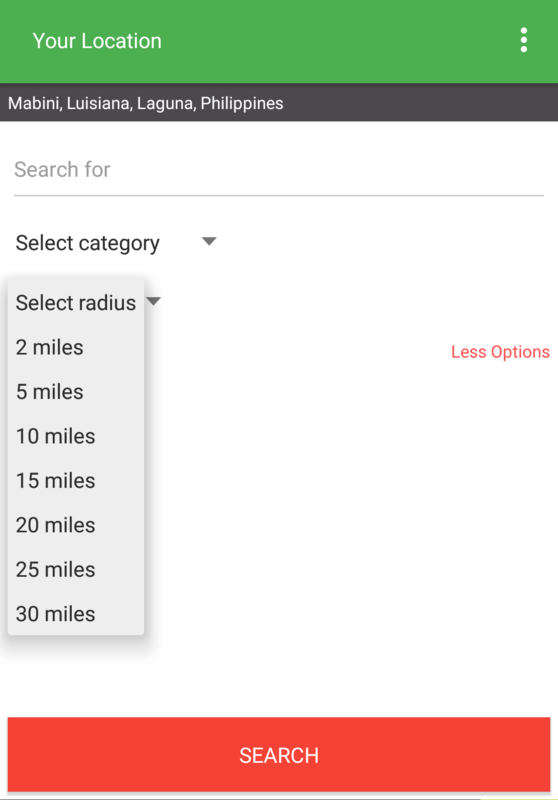 If you want, you select km to display distance in Kilometers. 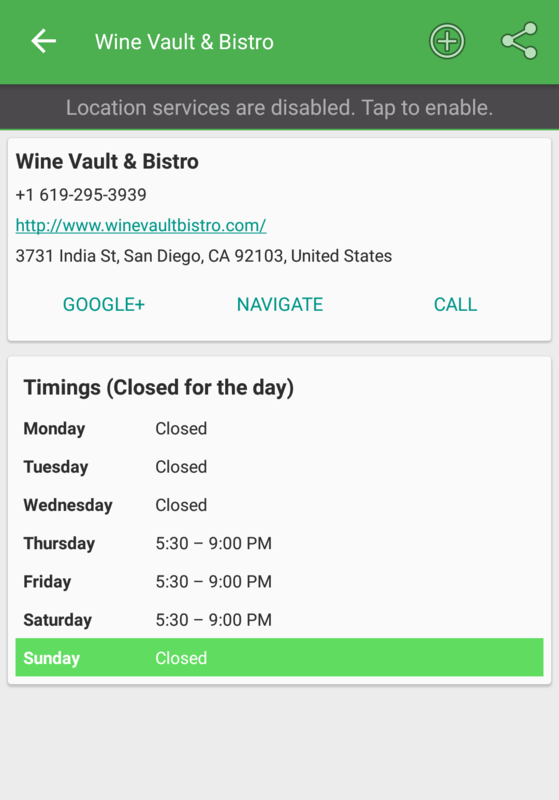 On the home screen, we have added few options for sharing of Places – Android app. – Feedback: If you have any concern (bug or feedback), then select this option to send a mail to us. 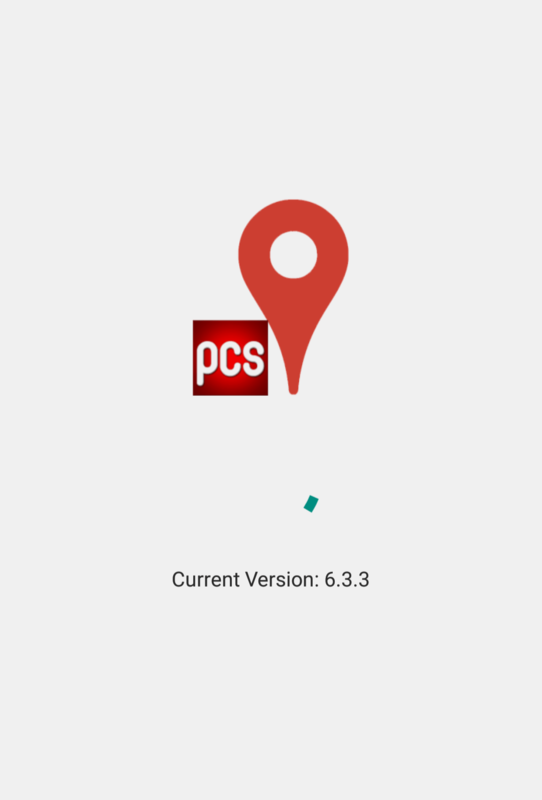 – Check for update: To check if a new version of Places is available. – Share application: If you like the application, then share with friends and family. Don’t get lost. 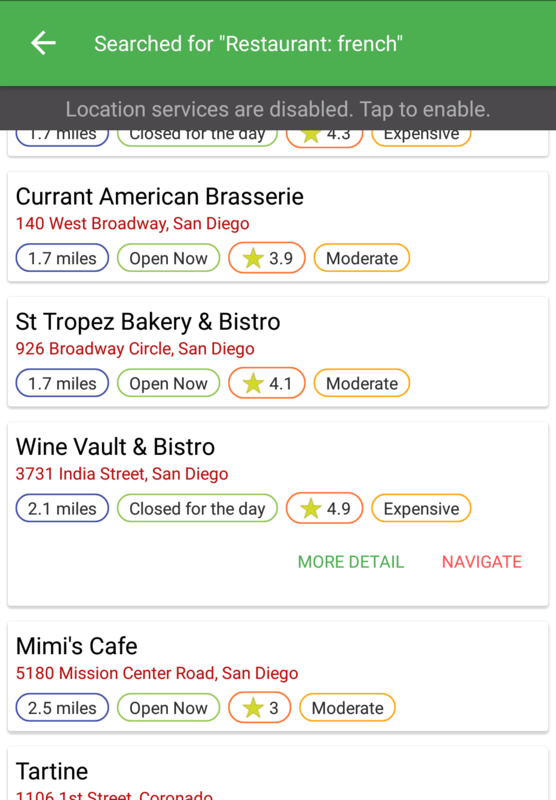 Search Nearby location around you.